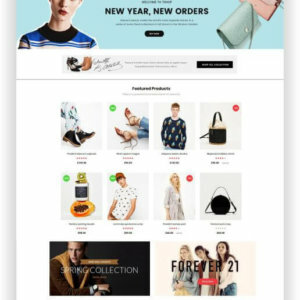 The OpenCart 3.0 Fashion Shop theme TShop is a new eCommerce theme that fits in many areas. Create with TShop an online shop for fashion, shoes or bags or a beauty shop. 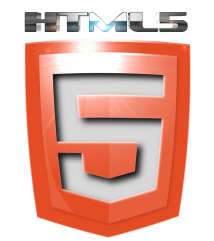 The theme is SEO-friendly through its perfect coding and your page will quickly rank in the search engines. 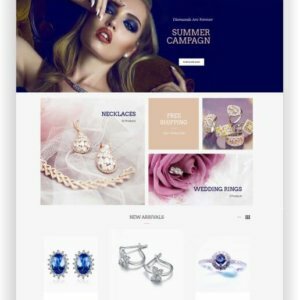 The OpenCart Jewellery Store Theme “Luca” is one of the best themes in the responsive OpenCart 3 Theme Collection designed for your successful online jewelery shop. In addition, you can also use Luca for other fashion and beauty online stores. If you want to sell bags online, or even in our demo backpacks, the Opencart Backpack Store Theme “Backpack” is the optimal solution to increase your online sales. 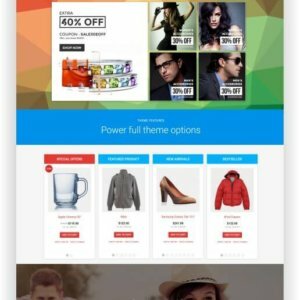 OpenCart Themes are easy to install and easy to edit! 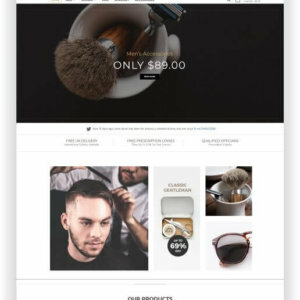 The OpenCart Barber Shop Topic “Domino” is one of the few topics on the market that perfectly fits the topic of men care and shaving. The colors are exactly matched and the design is excellent to sell products for shaving and men! 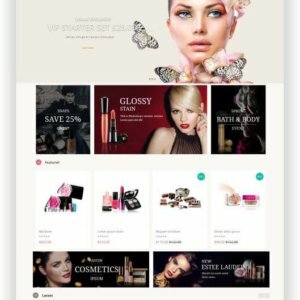 The OpenCart Beauty Store Theme HugeShop is the e-commerce theme with a modern look for the sale of beauty products. It has many useful features, is easy to use and fully responsive. That is, it looks stunning on all types of screens and devices. 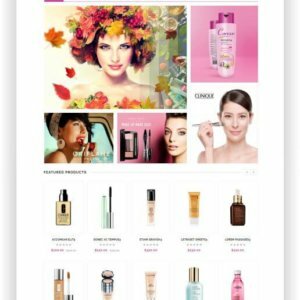 This OpenCart Beautyshop Template is specially designed for beauty shops, cosmetic shops, beauty and accessories stores. The combination of black and soft background colors will delight your customers. In addition, the theme comes with a great slideshow and eye-catching banners to make your shop attractive! 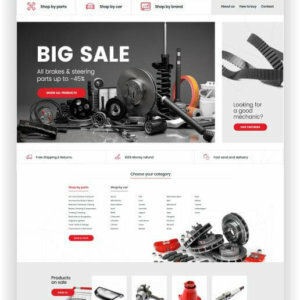 The OpenCart Electronic Store Theme “Elektron” is an essential purchase for anyone interested in creating a well-respected online electronic store website. This template offers a multi-lingual, mobile-friendly responsive design for your website! The OpenCart Template Pav Fashion comes with pure white and black that will perfectly reflect your products. With the combination of colors, textures and other arrangements, the website becomes more elegant, glamorous, luxurious and attractive. 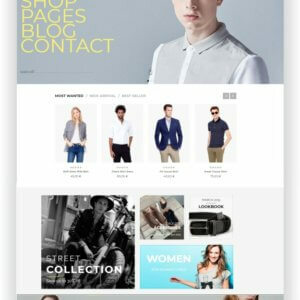 This theme is perfect solutions for fashion stores, clothing stores, shoe stores, etc. 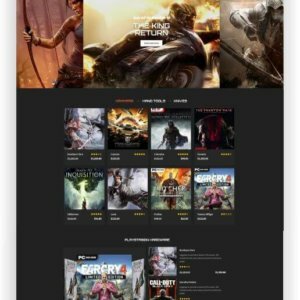 The OpenCart Gamestore Theme “GameStore” was developed especially for online trading in games and accessories such as game consoles or gaming devices. 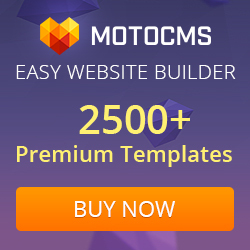 Well-functioning extensions and modules help you to set up the ecommerce website with little effort. It is a good choice for all low cost companies. 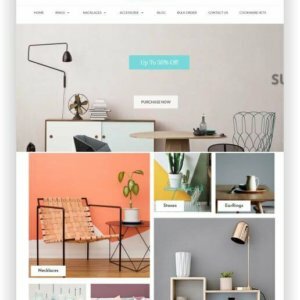 The Interior Store Theme OpenCart “Amazing Interior” is designed as an ultra-premium and unique shop theme of furniture and home decor that promises users complete satisfaction of its superb built-in features. In addition, the theme is easy to customize for everyone! 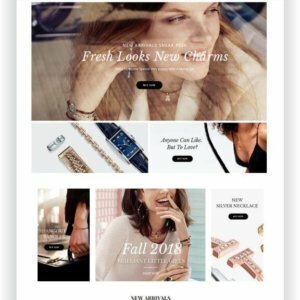 The OpenCart Jewelry Store Theme “Amazing Jewelry” will delight your customers with a wide range of jewelery and beauty articles and will encourage you to shop in your shop. The theme is exactly what you are looking for to equip your online business. 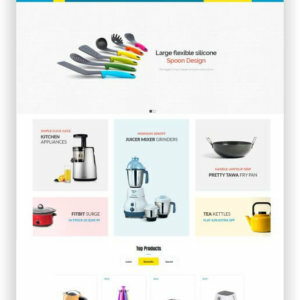 You want to sell kitchen items online? Then we have the right topic for you, the responsive and retina-ready OpenCart kitchen theme Harvest Kitchen! Sell ​​from salt shaker to coffee machine successfully on the Internet! SEO optimized, and with all the features for a modern shop! With the responsive OpenCart theme Harvest you can easily create a well-functioning online Mobile Store! 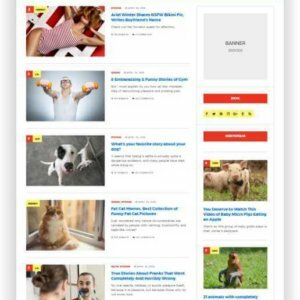 This shop theme gives you all the features you need to succeed on the internet! On the one hand, all the features for a great online shop. On the other hand SEO optimized codes for better ranking. R.Genesis is a modern OpenCart Theme with advanced admin modules that make OpenCart more powerful. The theme created with R.Gen’s new OpenCart framework is highly customizable, easy to use, and adapts to any screen. It is the most customizable topic that does not require programming knowledge. 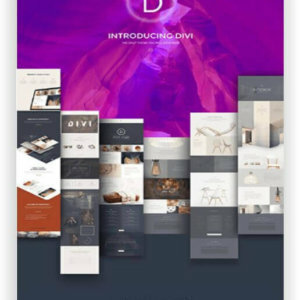 Revo is an OpenCart Multipurpose Template for every kind of business. 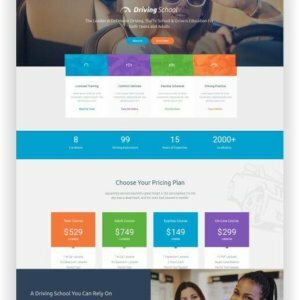 Combined with the super-strong Administration Panel, packed with a bundle of options, you can create a unique ecommerce website by yourself. 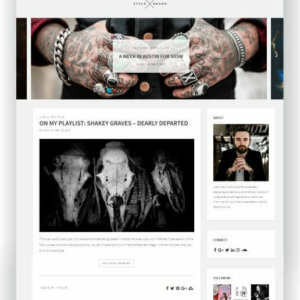 The OpenCart Multipurpose Theme Fastor is one of the most powerful OpenCart theme with many options. With the included modules you can save more than 200 € and create your online shop at no extra cost. More than 70 demos are the perfect solution to get the store up and running in just a few clicks. 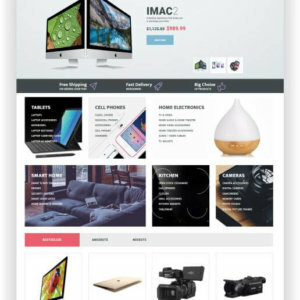 The OpenCart Multipurpose Topic Shoppica is a fully responsive multi-purpose OpenCart theme with stylish design and powerful backend. 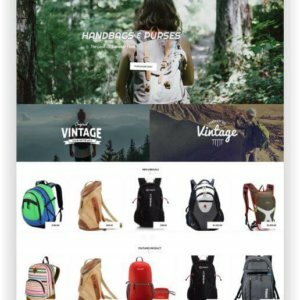 The clean and modern look allows you to use the theme for every kind of online shop. 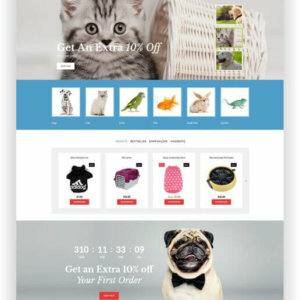 This OpenCart Pet Shop Theme is perfect for creating and launching an online pet care store really fast. 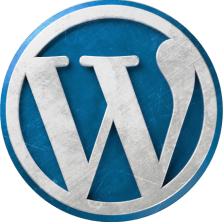 It is easy to install and has detailed documentation to make managing the website easier. All the products could be gathered to categories, so the navigation through website is intuitive and fast. 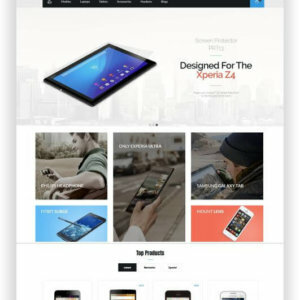 The OpenCart Theme Shop Town is a responsive Multipurpose Theme that you can use for a variety of purposes. 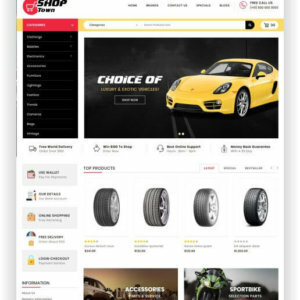 From the online shop for tires and rims, as in our product picture, to pet supplies, furniture, clothing and much more! A professional topic for professional shops! 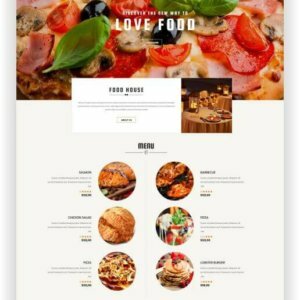 If you ask yourself now: What has an online shop theme to do with a restaurant website, you should look at the OpenCart Restaurant Theme “Foodhouse” here. Because it not only has a restaurant website with a booking form, but also a shop for your best dishes! Sell ​​sporting goods and sportswear online with the OpenCart Sport Store Theme “Saharan”. 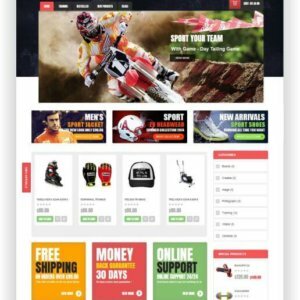 The theme offers 8 different layouts for your sports shop, which you can easily install with just a few clicks. With all the necessary features you need for a successful sports shop! 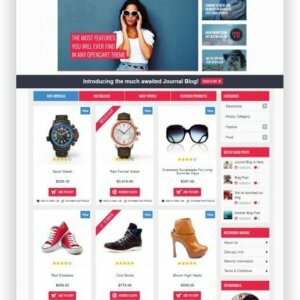 Journal is the ultimate OpenCart theme with world-class features and more than 2000 editable options giving you total control over your online store. Journal can be as simple and clean or as complex and colorful as you want it to be. 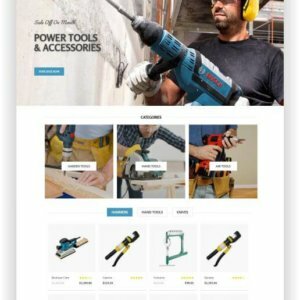 With the OpenCart Tool Store Theme “Tool Store” you can sell your tools online in the easiest way! 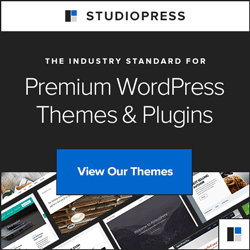 This theme is easy to install and has all the features you need for a successful online store, such as the MegaMenu or the Revolution Slider! A few OpenCart topics in the areas of bio, medicine and health as well as well-being reach a high rating. This Opencart Yoga Theme is certainly one of them. 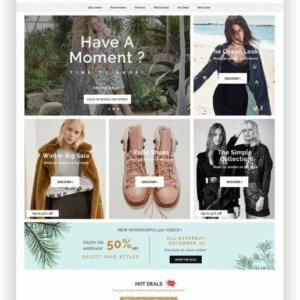 Create your online shop for yoga products with this theme!